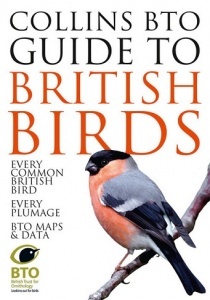 In a unique new collaboration, Collins have paired up with the respected British Trust for Ornithology, bringing together the most authoritative and up-to-date information in this new field guide to the common birds of Britain and Ireland. This unique new identification guide features all of the birds that have occurred five or more times in Britain and Ireland, including all species that breed regularly in the region, plus those that winter here, or occur as common passage migrants. The book has been written and illustrated as much with the beginner in mind as the experienced birdwatcher. Designed to be used in the field, the text and photographs describe and illustrate the key features needed to identify a species with confidence, and to separate it from similar, or ‘confusion’, species. As a general rule, the species accounts follow the taxonomic running order provided by the British Ornithologist’s Union (BOU). But for the benefit of the reader, in some instances the running order has been juggled subtly so that potentially confusing species are placed side by side. Throughout the book there are special pages that describe the key features needed for separating different families, and groups of birds that share the same habitat. More than 1,200 photographs are featured and many are seen here for the first time. They have been chosen carefully to show not only important identification features but also to give clues to the usual habitat favoured by the bird, and its typical posture. Annotations highlight key identification features that are discussed in the text. Song and call are useful aids to identification, and reference is made to vocalisation for each species. The average size of each bird is included; in most species this is the length, measured from the tip of the bill to the tip of the tail, but in birds that are seen most frequently in flight (such as raptors), the given measurement is wingspan. Relative abundance maps are shown for every species. The darker shading shows where a species is most abundant, and the lighter shades where it is less so. These are based on the very latest information contained within the BTO’s Bird Atlas 2007–11.